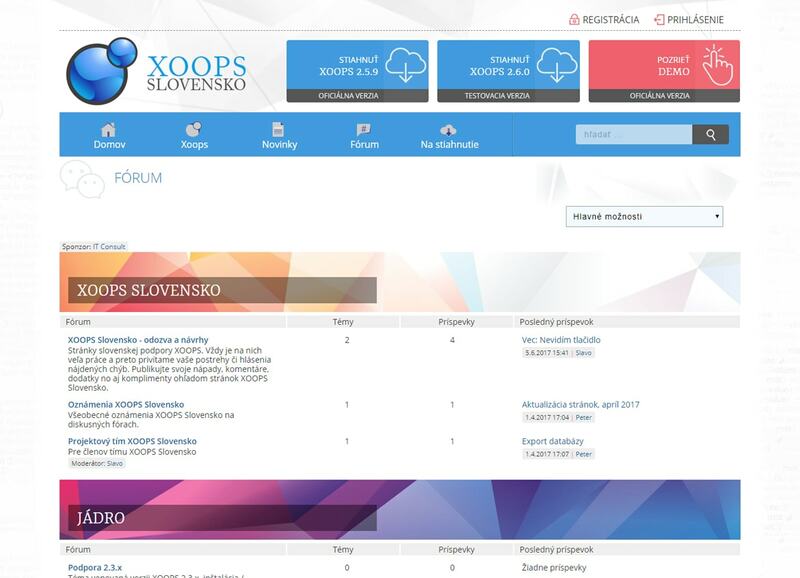 Slovak Community Portal for CMS XOOPS. 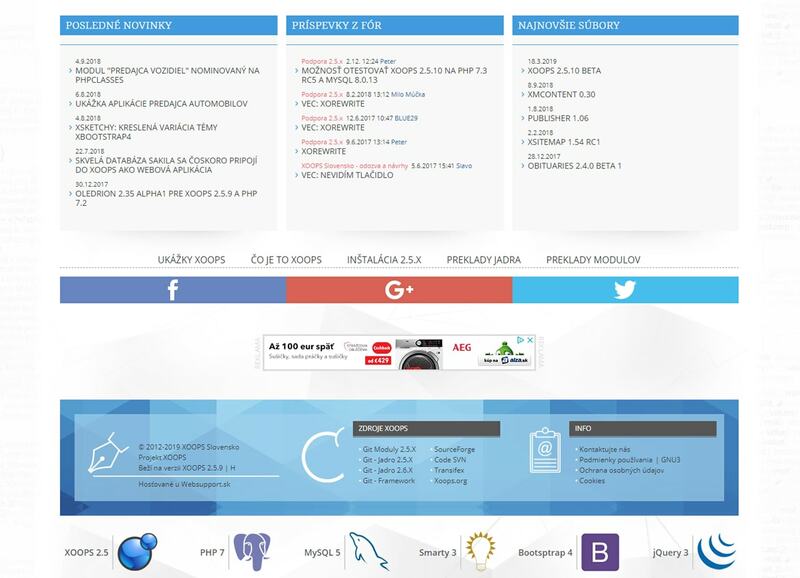 XOOPS is a web application platform written in PHP linked to MySQL. 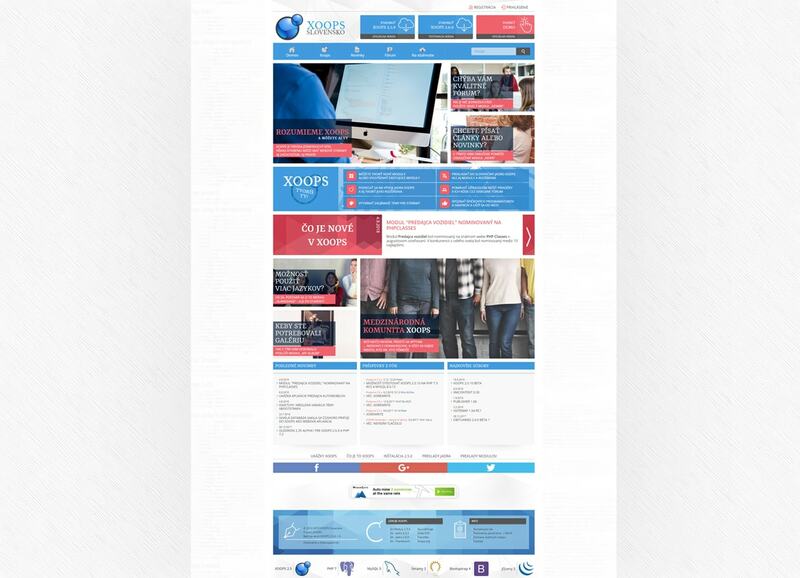 Its object orientation makes it the ideal tool for developing small or large community websites, common corporate presentations or large corporate portals, blogs and much more.